FOLLY IS NOT A RHINOCEROS. THAT BROKEN HORN ON HIS SNOUT IS A UNCORN’S, HE SAYS. NOW, AS TO WHAT FOLLY IS, GET READY. 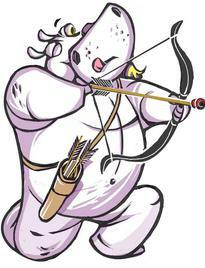 HE’S AN ALBINO, HIPPOPOTAMUS, CHERUB, CLARION, AND A CUPID... AND SOMETIMES, ACCIDENTAL HERO. Who harbors handsome fantasies, like a-lot-of-us." but He who gave thee Soul, armed thee with resolution. Employ it, and thou art wise; be wise and thou art happy."